Caption: A specialist teacher from Makande Primary school came to this Malawi home to encourage Maria’s parents to send her to school. 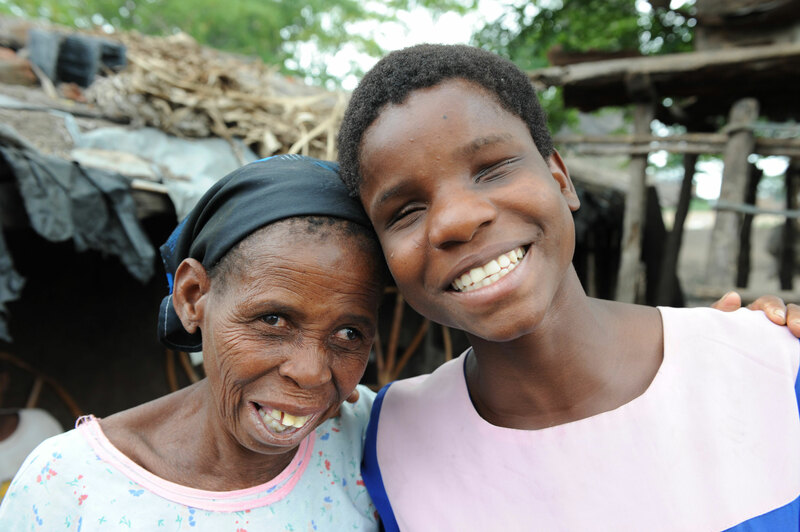 Maria is now one of two blind children in a 175-strong class and her favourite subjects are Maths, English, and Social and Environmental Science. Sightsavers is today launching the Put Us in the Picture campaign, the organisation’s first campaign to influence the UK Government. The 18-month campaign, which is launched on the International Day of Persons with Disabilities (3 December), will call on the UK Government and political parties to include the world’s one billion people with disabilities in their international development policies. People with disabilities have the same needs and rights to health, education and employment as everyone else, yet they are one of the most excluded and vulnerable of all groups in society, particularly in the poorest countries in the world. As a result, many are being left behind. For example, despite overall increases in school-attendance globally, living with a disability more than doubles the chances of children never enrolling in school in some countries. The potential for people with disabilities worldwide to contribute to global economic, political and social development is being missed, because their specific needs and voices are not being taken into account. Sightsavers’ Put Us in the Picture campaign is asking the UK’s Department for International Development (DFID) to develop a strategy to ensure people with disabilities are put in the picture of its efforts to tackle global poverty. Launching the campaign, Sightsavers’ Chief Executive Caroline Harper said: “The world’s one billion people with disabilities, 80% of whom live in developing countries, have just as much right to benefit from the UK’s global development programmes as everyone else. There is countless evidence – much of which I’ve seen first-hand – of the shocking link between disability and global poverty, and it’s clear that people with disabilities are being left behind. The campaign is being launched on 3 December at a breakfast briefing in Westminster, attended by representatives from all three main UK political parties, along with policymakers, academics, development experts, and disability charity chiefs. 3. Train DFID staff so they have the right skills to include people with disabilities in their work and support disabled people’s organisations to hold DFID to account. The Put Us in the Picture campaign is expected to run between December 2013 and the UK general election in May 2015. Over the coming months, Sightsavers will be appealing to activists to support the campaign, through signing petitions, contacting their local MP, and taking part on social media (#InThePicture). For more information and to sign-up visit:http://www.sightsavers.org.uk/our_campaign.